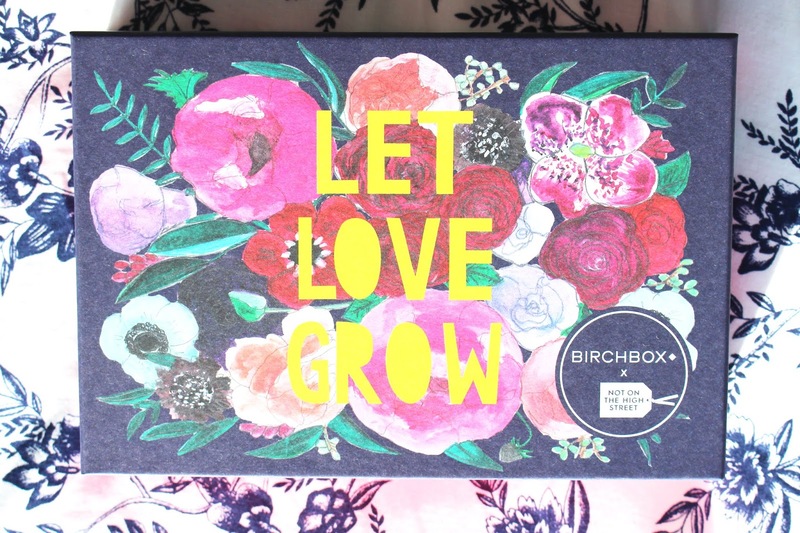 February Birchbox Review || Coco&Eve, Luxie and more! Once again.. terribly sorry about my unplanned hiatus! Life just got the better of me! 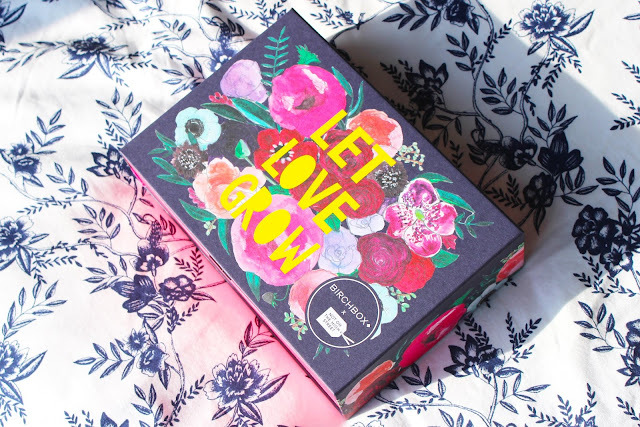 Anyway, I'm back today with an old school Birchbox review! 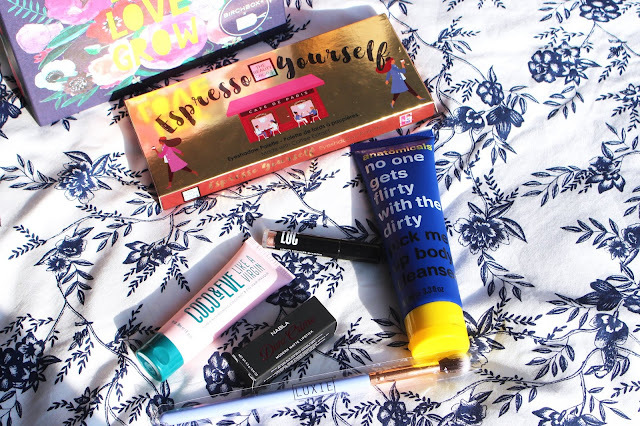 I kept getting adverts on my Instagram (@youfounderin if anyone wants to follow) about this month's box, and how you were getting a free eyeshadow palette worth £23. Safe to say, I was sold. The postman came this morning, parcel in hand, and I was super excited to see what goodies I received. I was not disappointed! Here is what I got. Overall, I am extremely happy with the contents of this box! There isn't one thing that I don't like! Plus, every single item I got was full size?! I've tried a few items from Loc before, but not this. I have yet to wear it out, but first impressions are very positive. 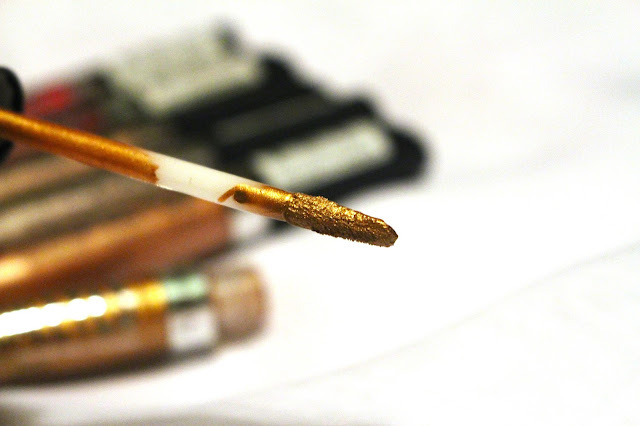 It's really creamy, and a beautiful shimmery neutral shade that is perfect for any occasion. I think i'll get some good use out of this. I used this in my shower this morning and it was really nice. It smells quite subtle, but it is a really nice smell. Plus, it didn't make my body itchy or red (which a lot of products do!) so that's great. Next, onto probably my favourite product from this box. First of all, the packaging is absolutely GORGEOUS. I am in love with the colour combination, the choice of typography (can you tell I'm a Graphic Designer?) Not only that, but I used the product this morning in my shower and it made my hair so smooth, and it smells gorgeous. A huge win for me. This brush is SO fluffy. I was so surprised, but in a good way, obviously. The brush itself looks really cute, and it blends eyeshadow beautifully. I can see this being a staple for my eyeshadow. 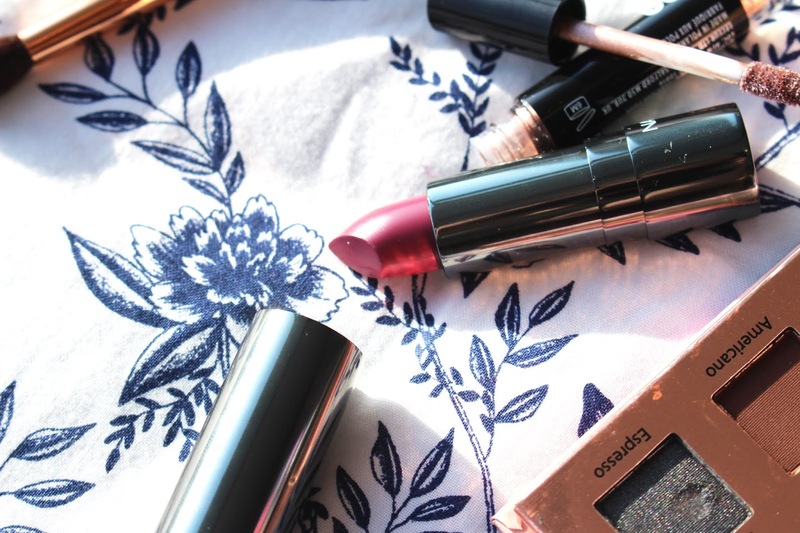 This is a beautiful, creamy purple-red lipstick. I love the packaging on this, and it just glides on my lips. it's quite a bold colour, so I'm not 100% sure when i'll where it, but i'm sure i'll find an occasion. Lastly, the free eyeshadow palette! I won't say too much because I'm going to give it a proper use and review it on my blog later, but first impressions are positive. The shades (especially the shimmers) are so buttery and creamy, and the shade range is completely up my street. So that's my Birchbox contents! Thanks for reading!! There's something about Charli XCX that just inspires me. I don't know whether it's the way she rocks everything she does and wears (aka how cool I wish I looked with my thick hair and bushy eyebrows) or just simply the way she presents herself. 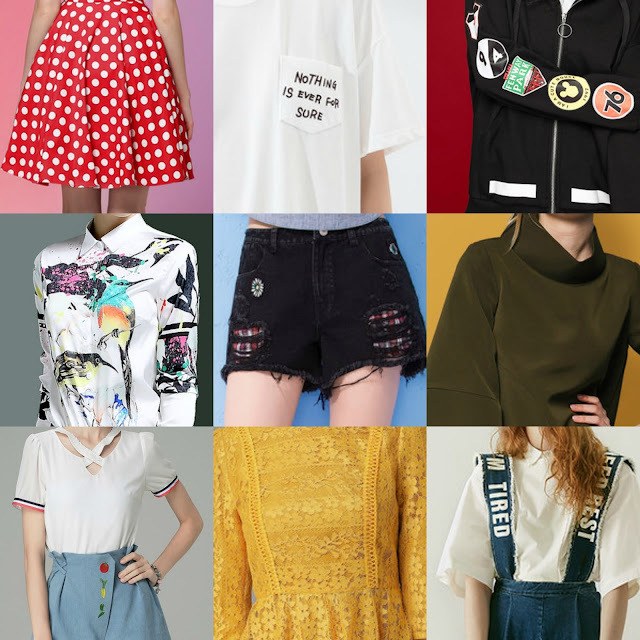 Whatever the case, here are a few of my favourite outfits she has worn. Enjoy! It's been a while since I last wrote any style files, but I hope you're still enjoying them none the less! You can view all my other ones below! Another day, another blog post. Before we jump in I do want to apologise for the lack of posting over the past few months. I have a tonne of uni deadlines and i'm finding it difficult to juggle, uni, my job and my blog. But never mind, here's what i've been loving over the past few months! First up, Maybelline 'Fit Me' Foundation. How have I never used this before?! It's incredible. 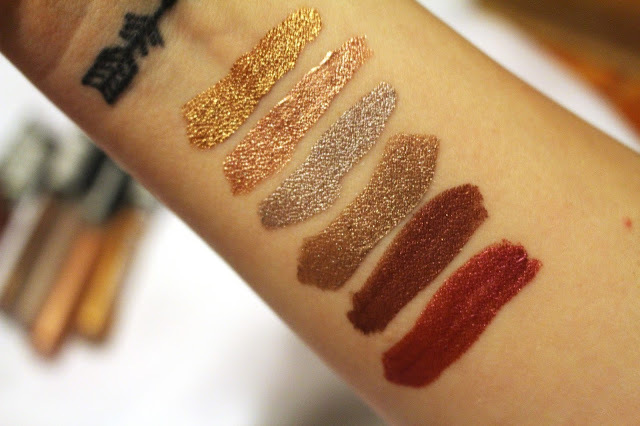 It makes my skin actually look half decent, which never happens, and there's such a variety of shades available. Also, my pet peeve of foundations is when they look cakey. And, it doesn't! Best of all? It's only £6.99! I don't know what else to say, because it's just fab. Next up, a Rimmel lipstick. Now, anyone that knows me knows that I adore Rimmel lipsticks, and this one is no exception. It's their Velvet Matte range, I think it's name is 'The Only 1 Matte Lipstick' , in particular the shade 610 'High Flyer'. This is unusual for me, as i'm usually a dark, cool undertone lipstick girl, but this is a lot pinkier than I usually wear, but I love it! 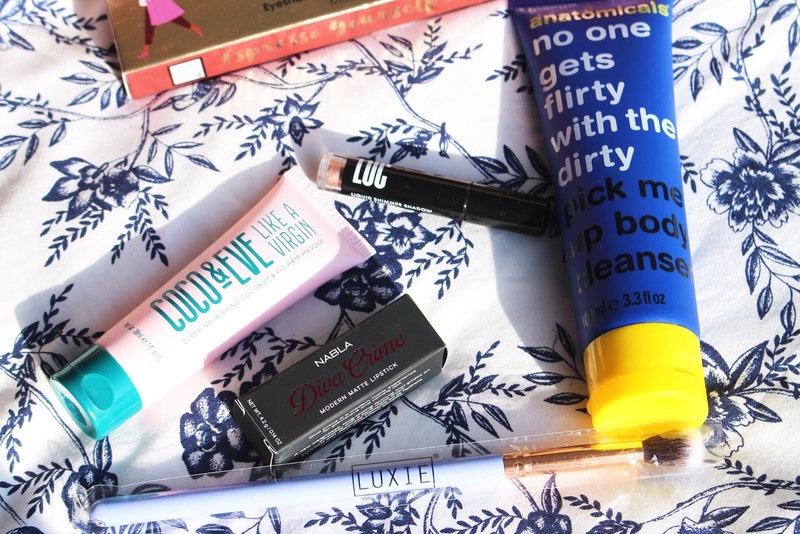 It's perfect for spring and not drying at all. For sure a win win in my books. When I was in America last summer, of course I visited Sephora. 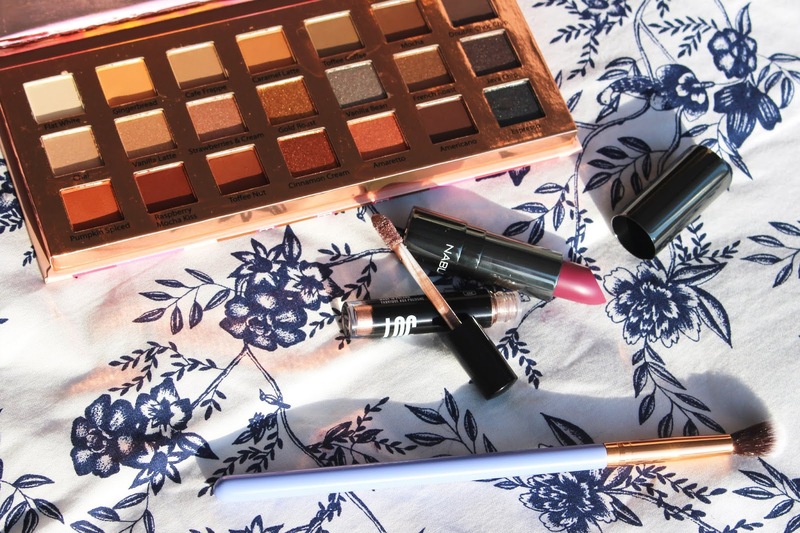 One thing I was desperate to get my hands on was the Tarte 'Lights, Camera, Splashes' mascara. I'd heard so many fab things about it and I was not disappointed. This isn't clumpy, makes my lashes look amazing, and it's not drying. It's easily the best mascara i've ever used. The only downside is that it's a bit of a nightmare to take off. However, with a few cotton pads and my trusty Garnier Micellar water it comes off fine. It just takes a little bit longer than usual. I feel like this new product is very underrated. In fact, I feel like this brand as a whole is. This is Superdrug's own brand, 'B. ', and it's a Blemish Gel. This is INCREDIBLE at getting rid of spots. My skin hasn't been overly bad recently (for the first time in literally 7 years) but this for sure has helped get rid of any bad breakouts I do have. It's like a cooler, older sister to the cult favourite Lush Greased Lightning (which I did a review of back in 2014) . This next product. I swear, it's my new holy grail skin product. A friend got me a set for Christmas, and it contained this Vitamin E Face Wash by The Body Shop. Oh my goodness. It's amazing. I said earlier in the post that my skin has been good recently, and this is the main reason. It has made my skin SO much clearer, softer and just all round better. I actually cannot rave about this product enough. I might do an in depth review on it if that's something people want to see? I stocked up on this toothpaste when I was in America last summer, as it's incredible. It is of course the 'Crest 3D White Luxe' toothpaste. It is hands down the best toothpaste I've ever used. It's the only one that I can personally say has made my teeth whiter, and trust me, it's worked so well! If you've ever used the Crest 'Teeth Whitening Strips', this product works perfectly with them. Last, but by no means least, a face mask! I've been absolutely loving the new(ish) L'Oreal Pure Clay Detox mask. It's basically a charcoal mask that dries on your face and then you wash it off. It makes your skin SO smooth! And when it's drying you can see all your pores, it's so gross, but also satisfying. Love, love, love. That's what i've been loving recently, what have you been loving? The other day I was scrolling through one of my favourite sites for cheap makeup, Fragrance Direct, when I stumbled across these eyeshadows. I was intrigued, so I looked up reviews of them, and I decided I needed a few in my life. They were only £1.49 so, I bought 6. And I love them. So much. 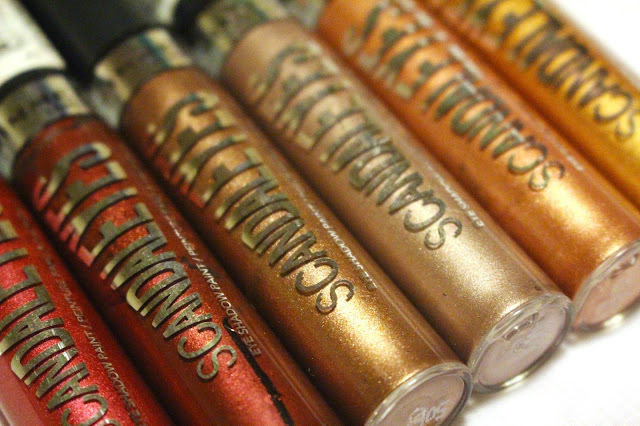 I'm going to keep this review short and sweet, as I actually have nothing bad to say about these eyeshadows. 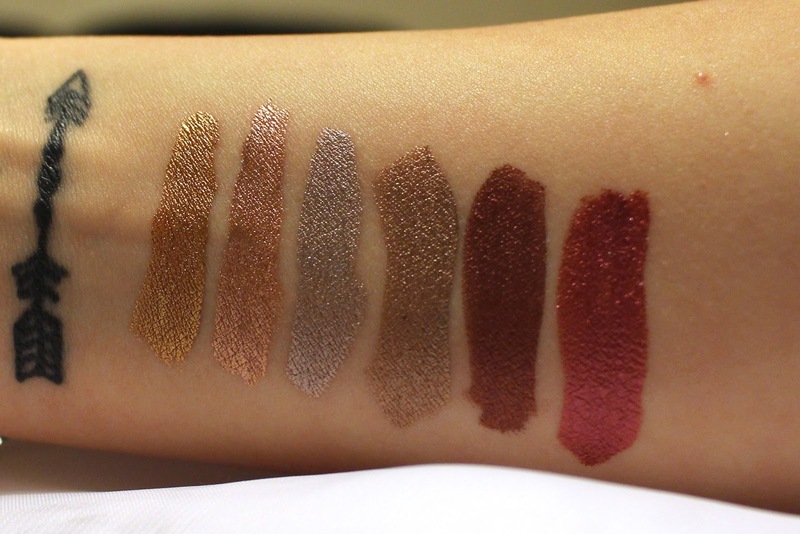 They have the most amazing pigmentation, last all day, and the colours are right up my street. 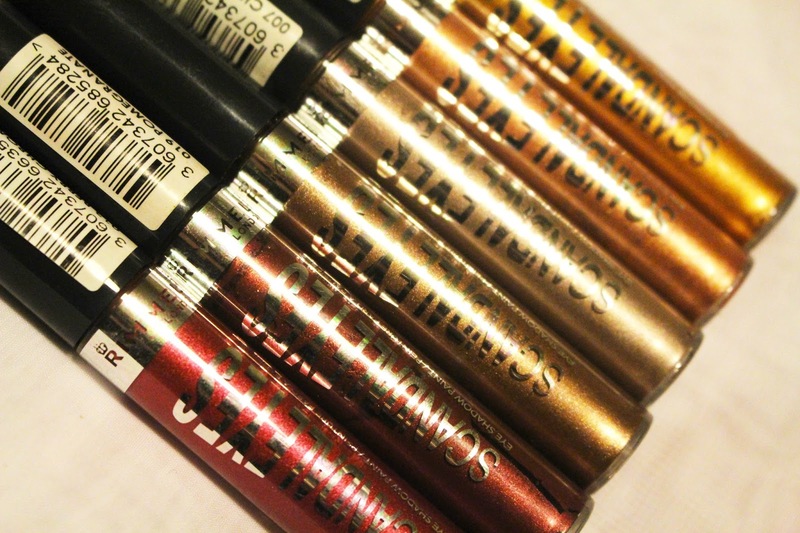 They're also really easy if you want eyeshadow on, but can't be bothered with multiple colours. You can just whack one of these on, blend, and you're good to go! I can't believe I only just discovered them, but since they arrived i've worn them every day without fail. My favourites are Pomegranate, a beautiful deep red which looks amazing on, and Rich Russet, a perfect everyday brown. What's annoying about these? They aren't sold anymore! Basically, Fragrance Direct generally sell discontinued products at a discount price. 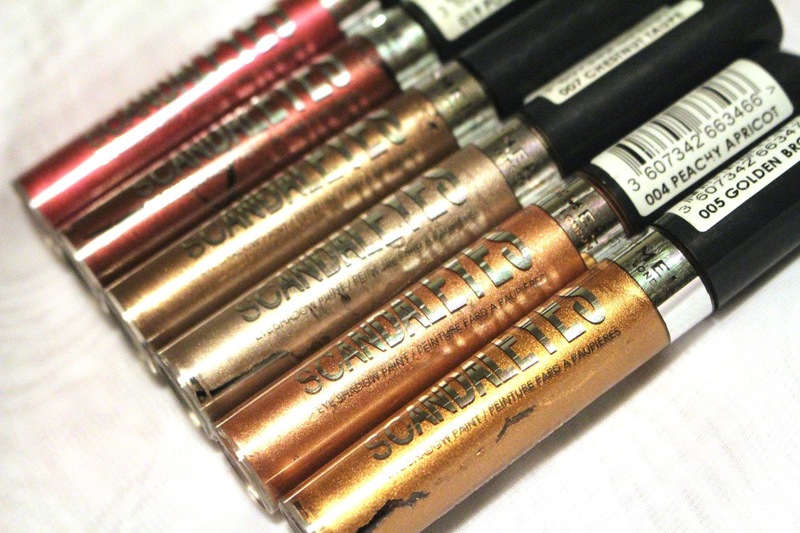 Why did Rimmel ever discontinue these? They are amazing. I'm tempted to stock up on even more of them, I love them that much. If you're interested, you can purchase them here!